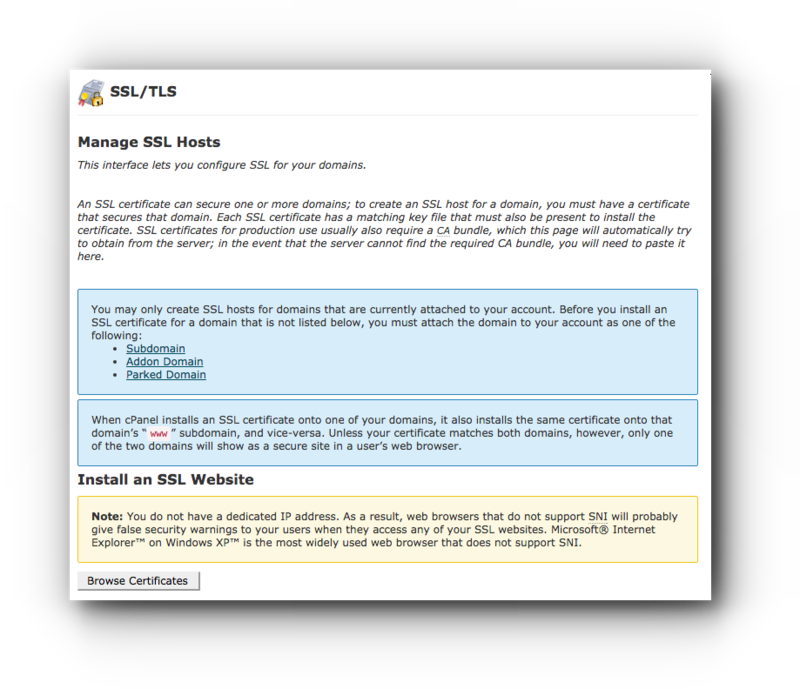 Home/Knowledge Base/SSL/How to install a self-signed SSL certificate? 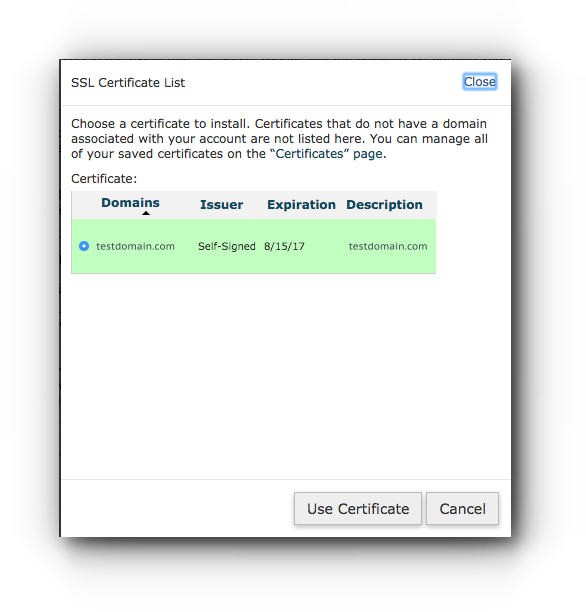 Self-signed SSL certificate can be generated and installed through the cPanel. This is useful if you want your website to show the https instead of http. 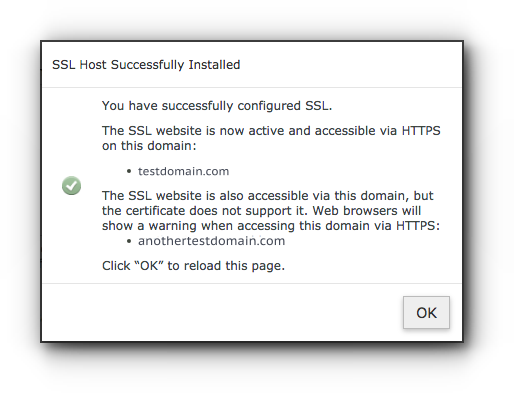 Please follow the instructions below on how to install a self-signed SSL certificate. Step 3. Click Generate, view, upload, or delete your private keys under Private Keys (KEY). Step 4. Under Private Keys, select 2,048 bits (Recommended) under the Key Size, enter the description and click Generate button. You should see a note prompt that the key has been generated (as shown in the image below). Step 5. 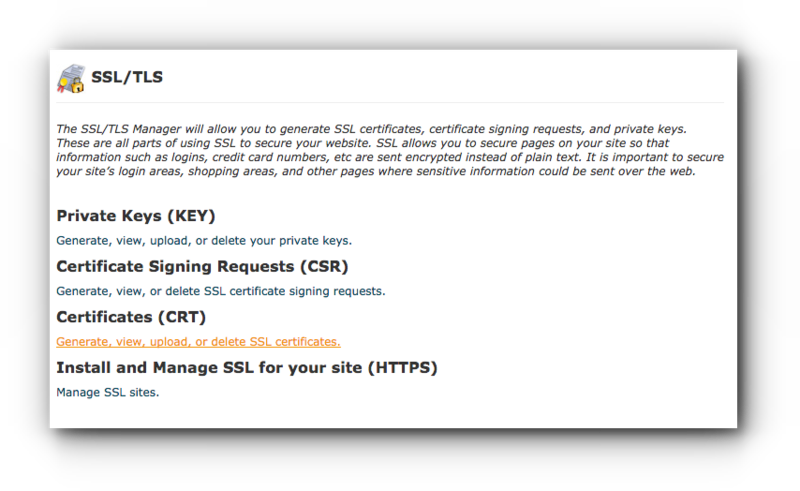 Click on Return to SSL Manager at the bottom of the page. Step 6. 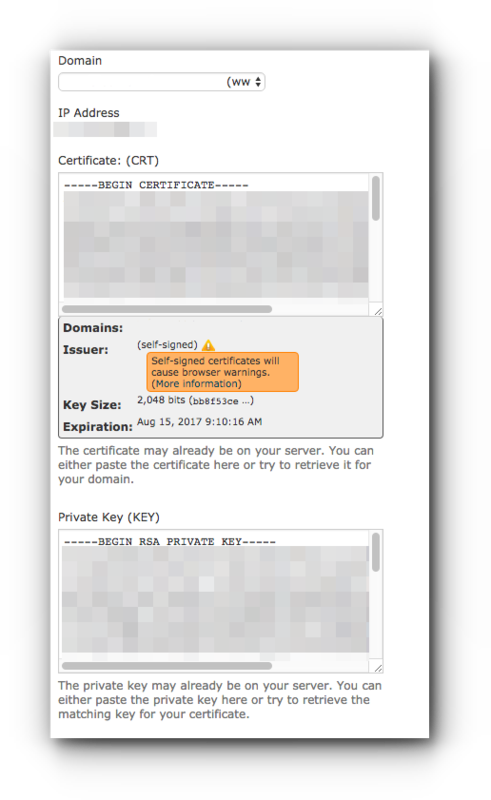 Click Generate, view, upload, or delete SSL certificates under Certificates (CRT). Step 7. In the Key* Choose Generate a new 2,048 bit key and type in the domain name. Please take note that only domain names in the cPanel can be used. Step 8. 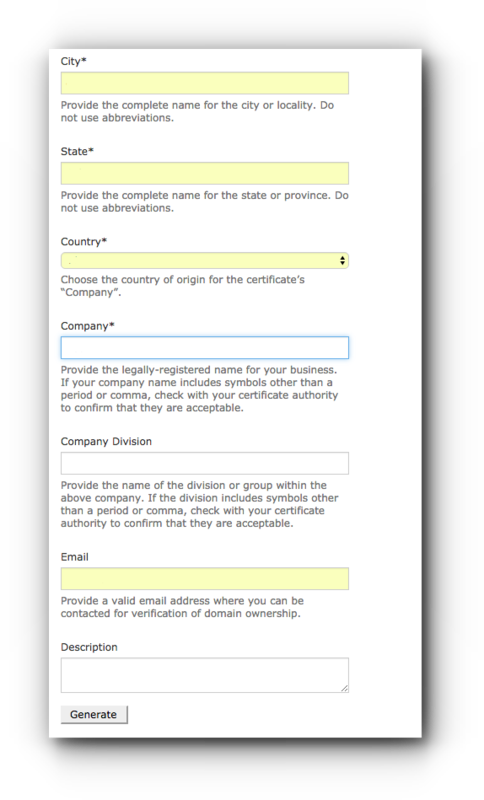 Complete the form by entering your City, State, Country, Company and email address as these fields are mandatory. Step 9. Click Generate button. You will see a message prompt about the certificate. Step 10. 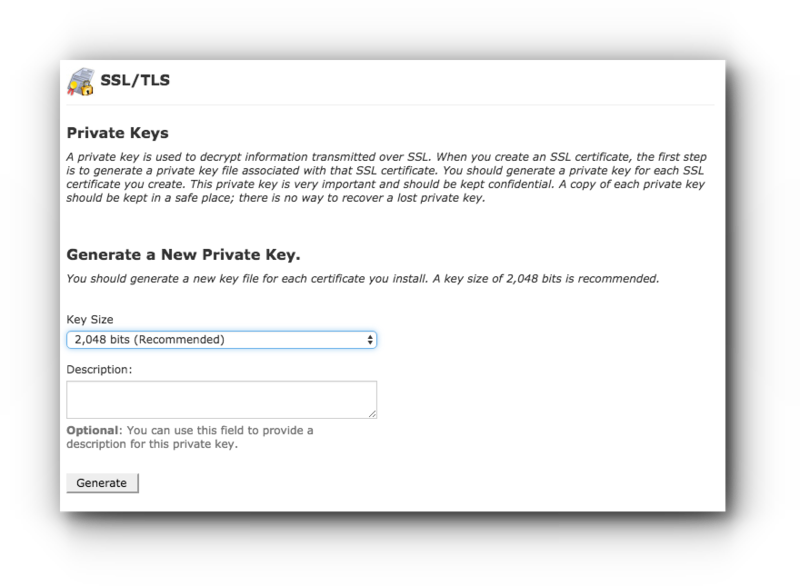 Scroll down at the bottom and click Return to SSL Manager. Step 11. 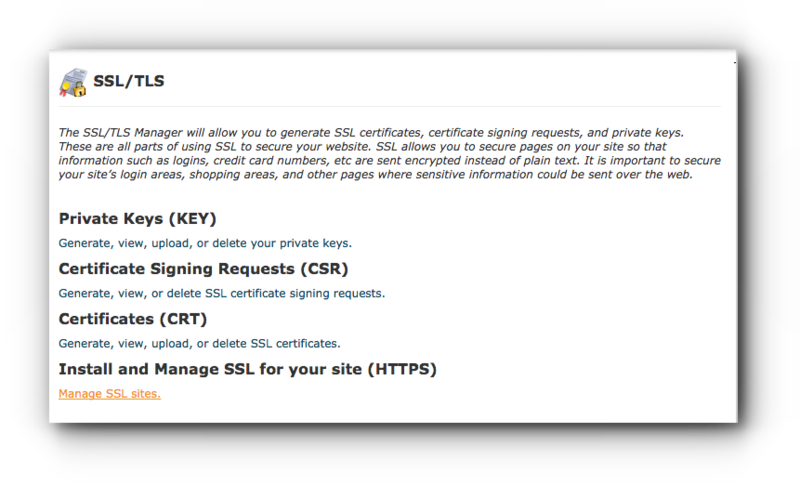 Click on Manage SSL sites under Install and Manage SSL for your site (HTTPS). Step 12. 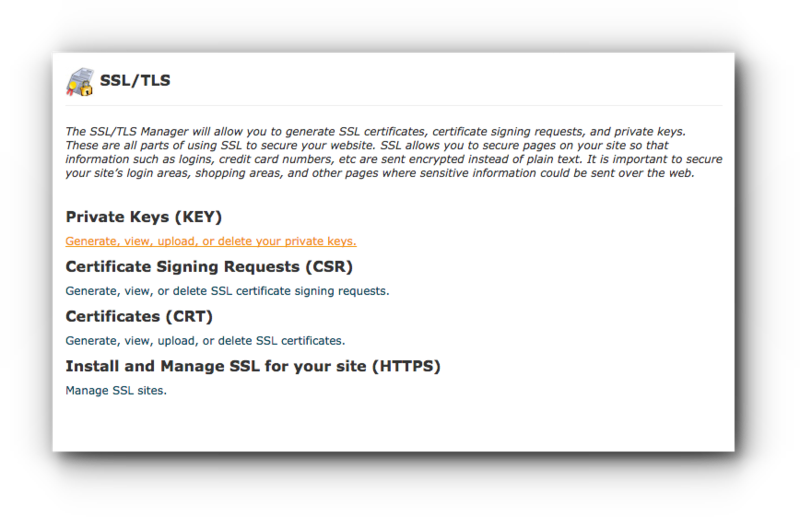 In the Manage SSL Hosts page, click on Browse Certificates button. Step 13. A small window will prompt about the certificate. Click on Use Certificate button. The fields will automatically filled with all the self-signed SSL certificate information. Step 14. 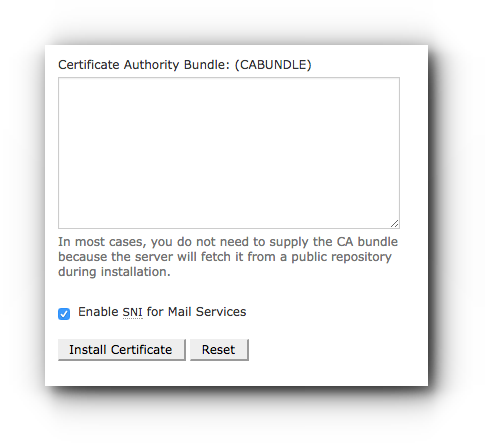 Click on Install Certificate button. Step 15. You should see a window pop up saying the SSL Host Successfully installed information. Click on OK button to reload the page. 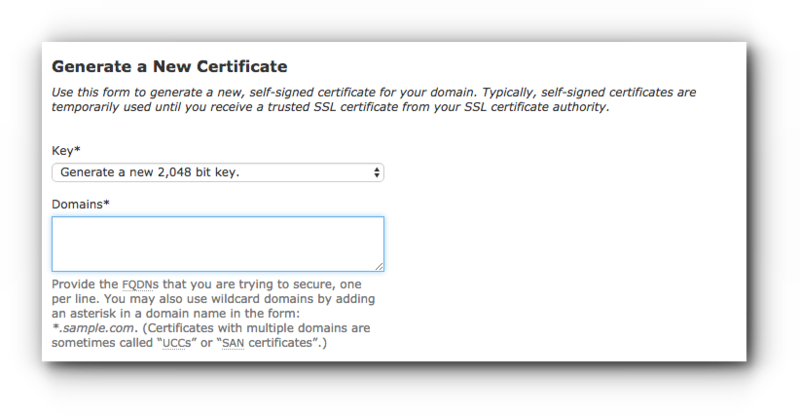 The self-signed SSL certificate has been successfully installed for your domain name.